d.light design is a global social enterprise that delivers award-winning, highly affordable solar-powered solutions to some of the more than two billion people in the world who lack reliable electricity. The company’s mission is to eradicate the kerosene lantern, which is costly and dangerous, and to transform its customers’ lives by increasing access to energy. Since 2007, the company's solar lanterns and solar home systems have improved 62 million lives in over sixty countries. d.light’s goal is to positively impact 100 million lives by 2020. 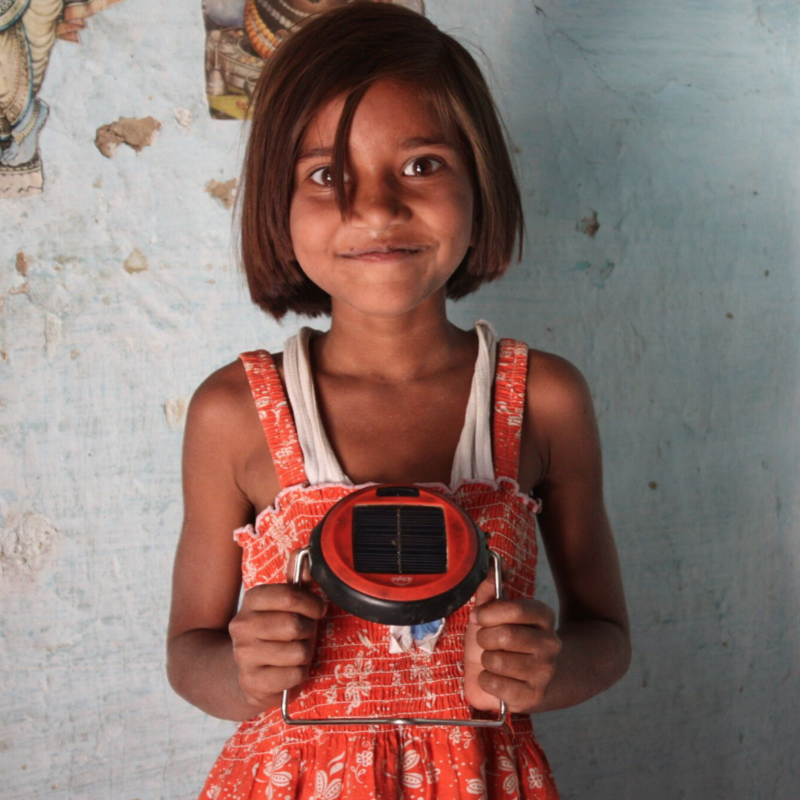 While expanding operations into the Indian state of Bihar, d.light faced “first-mover disadvantages” as they worked to reach customers over vast rural areas, educate consumers with scant knowledge of solar technology, and build a distribution and service-support network from the ground up. Good Energies Foundation has supported d.light in testing new technologies and markets in India and the Democratic Republic of Congo. We believe that philanthropic money can provide a critical boost to early-stage, start-up companies as they test new technology or expand into markets that traditional investors view as risky. With our focus on improving energy access in India and sub-Saharan Africa, d.light was a natural partner in reaching underserved markets where even the simplest, but high-quality solar product can change lives. Find more information on d.light design.